This post originally ran May 10, 2010. 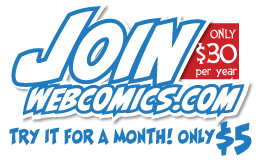 If you’ve ever been curious about the kind of information, tutorials and advice that you’ll get as part of your subscription to Webcomics.com, this is a good example. We were at a panel discussion — it may have been in San Diego — one year and the question was asked: When should I give up? My philosophy on this remains unchanged. And it’s based on my “worst-case scenario” thinking I’ve shared here before — in that I ask myself if I can live with the worst-case scenario. If I can, it’s a justifiable risk for me. What’s the worst-case scenario if your webcomic never pans out? What if webcomics are a flash-in-the-pan, and all of the major success has already been snapped up by the others who arrived on the scene earlier than you? 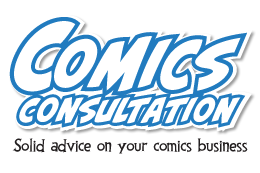 The answer for me is that I will have had several years of doing what I love to do best — creating comics for an appreciative audience. See, I couldn’t have reached my audience before Webcomics. And all I’ve ever wanted was to be a professional cartoonist. 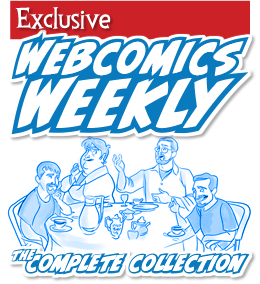 Webcomics has made all that possible. What if it comes crashing down tomorrow? I will have had several years of being able to realize a childhood dream. How many people get that in their lives? What if it never turns into a career? You take those skills you learned — and the name that you’ve hopefully made for yourself doing a comic that was read widely and appreciated by a number of people — and you move on to the Next Thing. Comics have been around for over a hundred years. In that time, the basic format has changed very little from those early “Mutt and Jeff” strips. That makes me confident that strips have a life that will go on for a decent stretch further. I’ve written before why I think comic strips in particular have a power that makes them viable well beyond my lifetime. But even if I’m wrong about that — in that particular worst-case scenario — there will always be the basic human need to tell stories. And there will always be those among us who do that with a combination of words and images. There will always be cartoonists. You may never quit your day job. You may never make this a career. And, realistically, if that’s what you’re in it for, you’re setting yourself up for a disappointment. But if you’re in this thing because you NEED to… because there is no other way of self-expression that satisfies your itch. And that ain’t so bad. * After Scott, Kris, Dave and I started doing the Webcomics Weekly podcast and the “How To Make Webcomics” book, I started to experience something I’ve come to name “The Nine Month Itch”: After nine months, many, many people expect to have become a Major Internet Sensation — and are despondent if they’re not. This guy may very well have made it past the nine-month mark, though.